Northumbrian Water's Kielder Waterside has kickstarted 2019 with a prestigious award win. 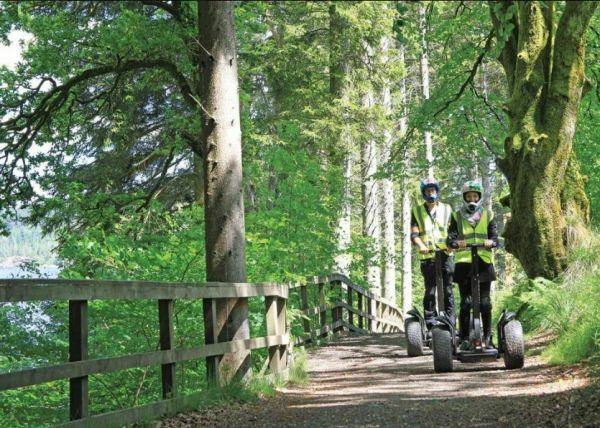 Landal Kielder Waterside, based in Kielder Water and Forest Park, Northumberland, scooped the award at the national 2019 Go Active conference and awards dinner that was held in Scotland on Thursday, January 10. The team was awarded 'Best Go Active team in the UK' in recognition of their hard work throughout 2018. David Hall, Head of Commercial Strategy and Transformation at Northumbrian Water, said: "The Go Active award is testament to the hard work and commitment that the team at Landal Kielder Waterside put in every day and I want to congratulate them on such a fantastic achievement. "The awards are given following a rigorous two day assessment that looks at everything that the team do - from health and safety, instructor assessments, to guest feedback and trip reviews - and it's clear from the feedback from our guests and these award wins that they are doing an amazing job. "I'm so proud of the team and the award is a real reflection of the work we are doing to make Kielder the Best holiday destination in Britain."